Here is a List of Best Free Password generator Software for Windows. These freeware let you generate strong random passwords which are quite complex and may require years to crack with even the fastest computers due to a large number of possible combinations. In these password generator freeware, you just have to input the characters to be included, password length, and the number of passwords to be generated. 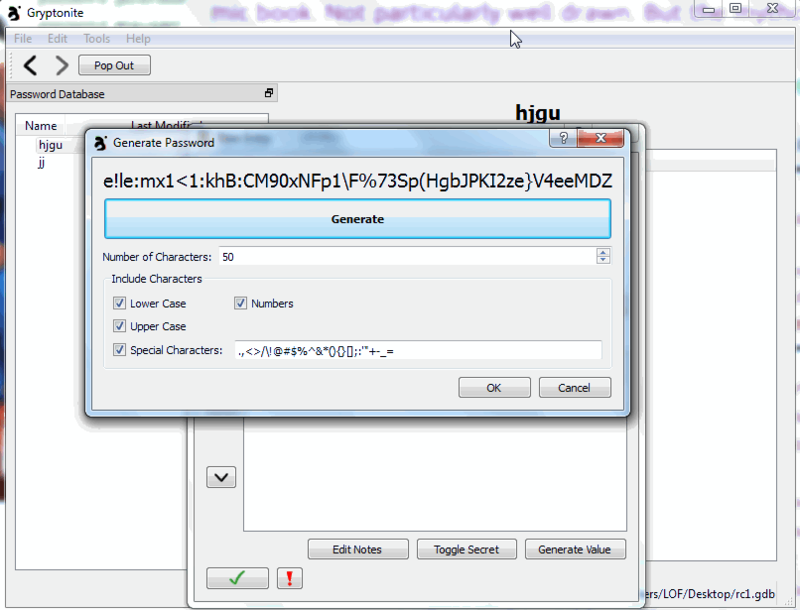 Then the generated password can be saved in different file formats or can be copied to clipboard and put to direct use. The Password Generator Software that I liked the most is Strong Passwords Need Entropy (S.P.N.E.). The best thing about this freeware is that it is quite simple and easy to use. Here you can choose from a number of password generation options, like: GUID, MAC address, random, pronounceable, Morse code, smileys, cryptocode, and serial numbers. The generated password strength can also be checked, and the general expected time to crack the password with different machine speeds can be checked. The entropy report of the password is also generated. You can also check out the list of Password Manager, Password Protect Folders, and Text Encryption Software. Strong Passwords Need Entropy (S.P.N.E.) is a simple tool to generate password, and test the strength of your password. On analyzing the password it checks the various aspects of the password and thus calculates the entropy, and also provides an expected time to crack the password. Here you can generate a number of types of passwords as per your requirement. You can choose the option to generate GUID, MAC address, random, pronounceable, Morse code, smileys, cryptocode, and serial numbers. The strength for each of the password can be easily viewed, which shows the character overview, character frequency, entropy, number of trials to find it, and its inclusion in the worst password position. This also displays the time to crack the password based on a specified number of checks per second. The conversion of the password into different numeral systems like hexadecimal, binary, and many more can be easily done. In case you want to generate multiple passwords, you can do so by using the create list tab. You can select a single password or the whole list of passwords available. Only the password can be selected or along with it the SHA-256, or Tiger-192 can be copied. You can also try WPA2 key generator to view a detailed report of the password in the form of a histogram. Awesome Password Generator is a very beautiful and easy to use freeware to generate strong and secure password. It is used to generate a number of different types of passwords like WPA (Wi-Fi) single password generation, bulk password generation, and command line builder. In single password generator you have to choose the password length, the types of characters to be included, and any user defined charset. Here you can also choose the option to generate Wi-Fi password using 256 bit WPA key, or using passphrase. You can choose the option to generate easy to use password, exclude confusing characters, copy to clipboard automatically, and clear clipboard on exit. This freeware can also be used for bulk password generation where you have to enter the quantity of the password to be generated and the file in which the password is to be saved. Here also you can select the option to include easy to type passwords, and exclude confusing characters. This freeware also runs in the command line interface, where you have to choose the final destination to either file or console. KeePass is a simple software which is mainly used to store passwords but can also be used to generate passwords as per your requirements. For this go to the generate password window under the tools tab. Here you can select the option to generate the password from a number of profiles which may be custom, automatically generated password for new entries, 40 bit Hex key, 128 bit Hex key, 256 bit Hex key, and random MAC address. The option can also be chosen to generate using specified pattern, or generate using custom algorithm. You can select the length of the password and the characters to be included in custom tab. Advanced options can be used to set different options, like: to appear each character at most once, exclude look alike characters, and exclude any specified set of characters. On clicking the generate tab the generated password is displayed. Then you can further edit it by choosing the option to display the generated password in right to left reading order, and show and insert Unicode control characters. 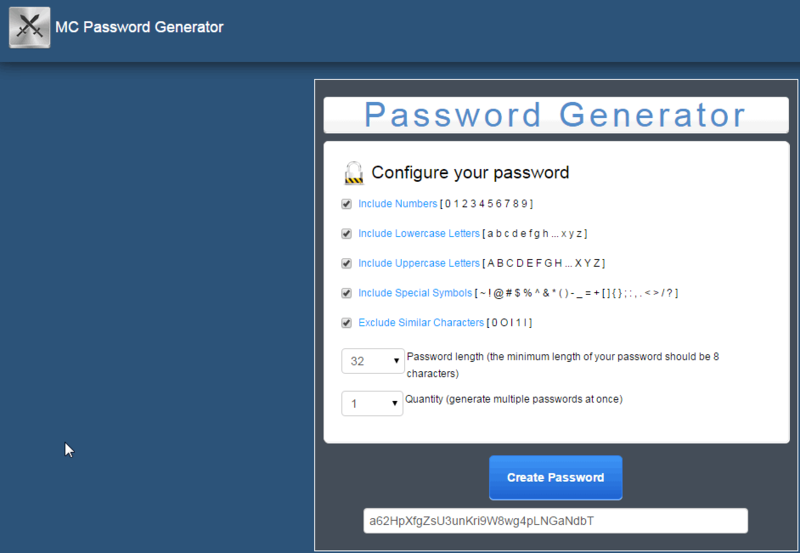 Password Generator is a simple and easy to use freeware to generate passwords. Here you can select a number of options for password generation. You can choose the option to generate short, medium, or long passwords. You can also choose to add numbers in front or behind the password. The option can be chosen to convert letters to special characters. It helps you to generate strong and easy to remember passwords. You can select several options for password compilation. Using password template you can choose the option to select the password configuration, like: internet password 1, 2, and 3, WEP keys 128 bit, WEP keys 256 bit, WEP keys 64 bit, WPA2 keys, and windows server 2003 keys. Then you can finally save the password to clipboard, save password to TXT, check password strength, and encrypt password. While showing the password strength it displays you the password length, password strength, lower case letters count, upper case letters count, numbers, symbols, and special characters along with several other information. Random Password Generator is a good software which can be used to generate random passwords. After installation you have to enter a password which can be changed later on. Here you have to select the password length, and the characters to be included like capital letters, small letters, numbers, punctuation, and the number of passwords to be generated. Then based on the password generated it displays the password strength of the password generated and classifies it as weak, medium, strong, and best password. Using regenerate button, the password can be generated a number of times. After the generation of the password, you can copy the password, copy and add ID, add remark, and save the password to database. In the password manager tab you can also delete record, modify remark, and export password as a TXT file. It can also be used as a password manager since it can store the password in a secure environment. PWGen is a simple, powerful, and easy to use password generator. This freeware can be used to generate strong password. You have to just enter the length, select the character set, option to include words, and include the word list file, and password format options as per the requirement. This freeware can also be used to generate multiple passwords. Advanced options can be chosen to select other options to include and exclude certain things, which can be done using the checkbox. In the random pool, the information about the entropy bits is also displayed. This freeware can generate passwords based on master password, do the clipboard encryption and decryption using simple clicks. The timer can be set to clear the clipboard after a certain period of time. Various other settings like hot key, character encoding, font, and other options can be selected. This freeware can also be used to generate random data file and trigram files which can be used later on. Password Safe is a simple and easy to use application which is used as a password keeper. It can also be used as a password generator software. In order to use it firstly you have to make a database and secure it using a password to encrypt the password combination. When you choose the option to add entry it shows a button to generate password which can be made visible. In the password policy tab you can set the option to either use database defaults, or use custom password policy. Here you can choose the option of password length, password characters to be included, use easy to read characters, generate pronounceable password, and use only hexadecimal digits. The password length can be between 4 to 1024. The generated password can then be copied or stored in the database. Chaos Generator is a simple and easy to use freeware which can be used as a strong password generator. Here you have to just select the characters to be included in the password to be generated, like: upper case letters, lower letters, numbers, and special symbols that are to be included. Then you have to enter the quantity and length of the password to be generated. After you click on the generate button, the password is generated based on your input. Each time you click on the generate button a new set of passwords is generated. 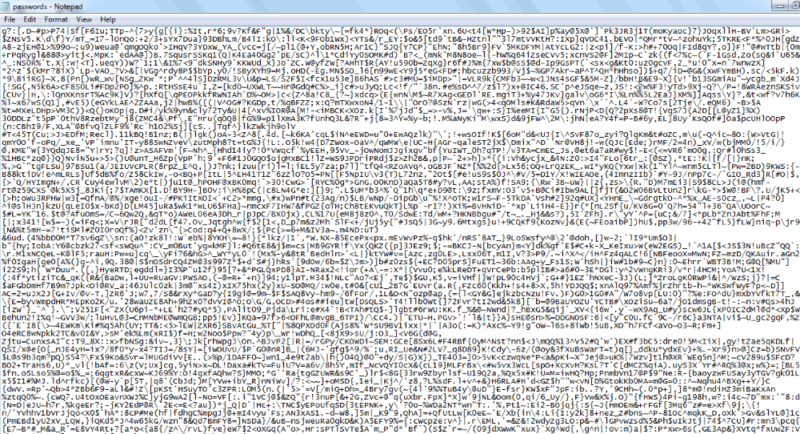 The final output can then be saved in a text file. 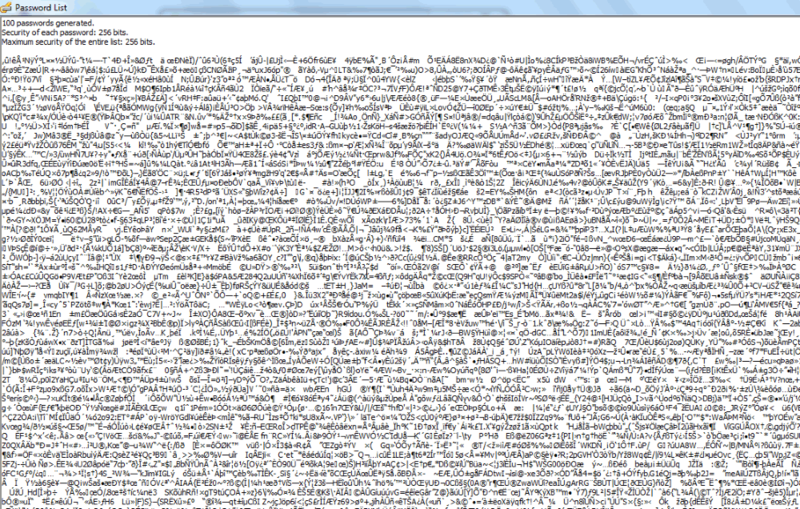 You can also open any text file in it and view its contents. The generated password can then be copied into the clipboard and used wherever required. Password Renew is a simple tool which can be used to generate and test the passwords. Go to the generate tab and select the characters to be included in the password. You can also choose the options to make the password handwriting friendly, and tablet friendly. Select the password length, and click on the generate button after which a number of passwords are generated. The passwords thus generated are neatly classified under Random Password, left handed lower case passwords, left handed upper case passwords, left handed mixed case passwords, left handed numeric passwords, right handed lower case passwords, right handed upper case passwords, right handed mixed case passwords, and right handed numeric passwords. Any password thus required can be copied to the clipboard, or the whole set can be copied. Dalenryder Password Generator is a simple freeware which lets you generate passwords for free. It contains a number of tabs which let you generate passwords, manage passwords, encrypt passwords, and check the password strength. In the quick password tab you simply have to select the character count, and click on the tab quick password. Then in the new button click on the button generate super password, which can be then copied to the clipboard. In password generator tab you can choose various options to generate password like password length, characters, own characters to be included, and list passwords. The list password can finally be exported as a TXT file. You can also create your own password and PIN. Extreme Password Generator Pro is a very simple application to generate passwords. Here you can choose to generate the password of length 1 to 20. The option can be selected to generate variable length password, or a fixed length password. 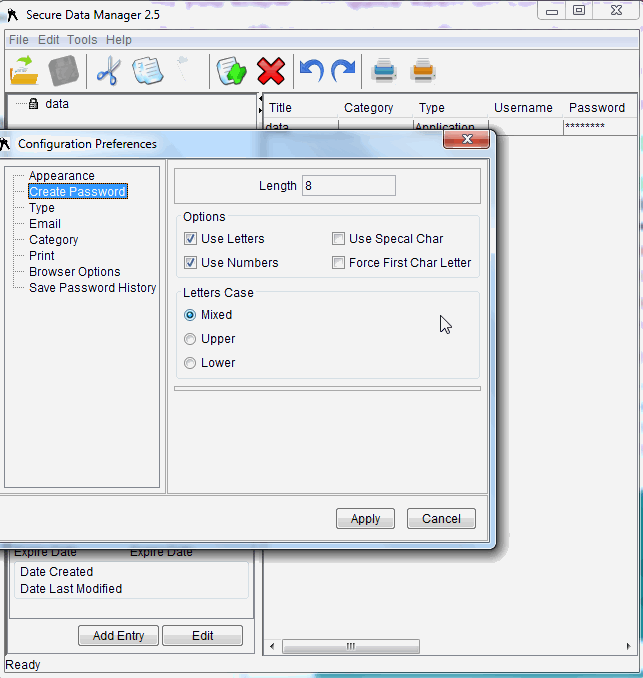 The options can be selected to which characters to be included in this freeware, and use any templates to override a set of chosen characters, choose the own set to override specified settings, use suffix and prefix to be added to the password, import and add usernames, and generate pronounceable passwords. Here you can also add your own words to the list of pronounceable. The generated password can finally be copied to the clipboard. StrongPasswords Ultimate is a simple tool to generate complex and strong password. Here you can choose from different templates to generate the password, like: normal password, generator logins, memorable password, file in password, password for Wi-Fi, serial number, inversion and your password. You can also choose the option to personalize your password, whose details is displayed with the strength, and the expected time to crack the passwords. This freeware can be also used to encrypt and decrypt the file. You can also generate passwords in the accounts tab. This freeware generates numerous passwords which can then be copied to the clipboard, or saved into the TXT file. 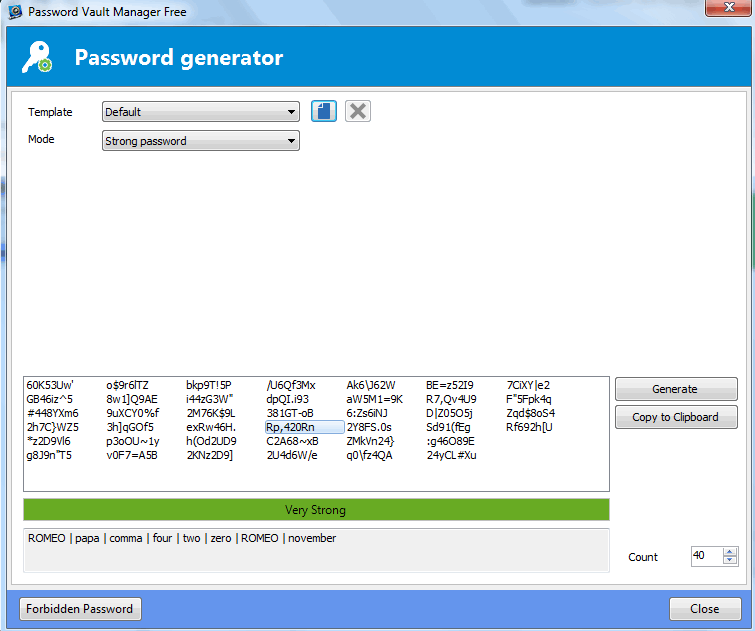 Password Vault Manager Free is a simple tool which can be used to generate strong password. Go to the tools menu and click on the button password generator. Here you can choose from different modes, like: use specified settings, readable password, use a pattern, pronounceable password, and strong password. You can also choose the count option to set the number of password to be generated. The generated passwords can then be copied to the clipboard. You can create your own settings and store it in password template, and the password can also be saved in the list of forbidden passwords. This freeware can also be used to store passwords. Gryptonite is a simple tool to store your secret personal information securely. Here you can also generate random and strong password. In order to do it you have to simply create a database and secure it using master password. Then make a new entry to the database and select the details of the password. On clicking the generate value, the password is generated, where you can choose different options like characters to be included, and the number of characters. The generated password can then be copied to the clipboard. Here you can also save different details, like: username, E-mail, URL, card number, name, expiry, CVV2, PIN, and combo. SafeInCloud is a freeware to manage and store passwords. Firstly you have to configure a database, or download from the cloud. On clicking the generator button, password is generated, where you can select the option to personalize your password. You can select the character option to generate password from the options of memorable, letters and numbers, random, or numbers only. The password length can be selected using the slider. Below the generated password the expected password time is also displayed. Finally the generated password can be copied to the clipboard. Here you can store and manage passwords of different accounts and save it on cloud. Wi-Fi Password Key Generator is a simple and easy to use tool to generate Wi-Fi password. Firstly select the wireless security type that may be either WEP, or WPA/WPA2. Then based on the requirement you can choose from different character size options using the drop down menu in the key options from: WEP 64 bit, WEP 128 bit, WEP 152 bit, WEP 256 bit, WPA 64 bit, WPA2 160 bit, and WPA2 504 bit. On clicking the button generate Wi-Fi key the Wireless Key (HEX), and Wireless Key (ASCII) is generated, any of which can be copied to the clipboard. WinTinker Password Generator is a simple freeware to generate passwords which are easy to remember. Here you have to enter your password which is then transformed into complex password with the introduction of some special characters, which makes it secure. This freeware also helps you to generate random passwords where you have to enter the password length and click on generate button. In case you wish to create encrypted password for easy to remember words, it can be also done so by using the suggested password, and the website address in which the password is to be used. Enpass is a password manager tool which can also be used to generate different passwords. Firstly you have to enter a master password in order to successfully configure it, and use it. Just go to the tools, and click on the button generate password. Then you are displayed with the password, where its settings can be changed with the use of sliders to select the number of characters, numbers, digits, symbols, and uppercase characters. The options can be chosen to avoid ambiguity and generate pronounceable passwords. Finally the password can be copied to the clipboard. Motacore Key Generator Lite is a simple tool to generate keys. Here you can set the option to choose Alphanumeric, Alphabetic, or Numeric keys. You can also use the delimiter option, and the number of characters after which the delimiter is to be used. The option to add any suffix, or prefix can be added to it. After you select the key length, and the number of keys to generate, the keys are generated. Finally you can copy the keys to the clipboard, and save it as JSON, TXT, key database, XML document, and CSV. Universal Password Manager is a simple software to secure the password which can also act as a password generator software. In order to do this, you have to click on add account button and click on the generate button. By default the password is hidden, which can be displayed by unchecking the hide button. 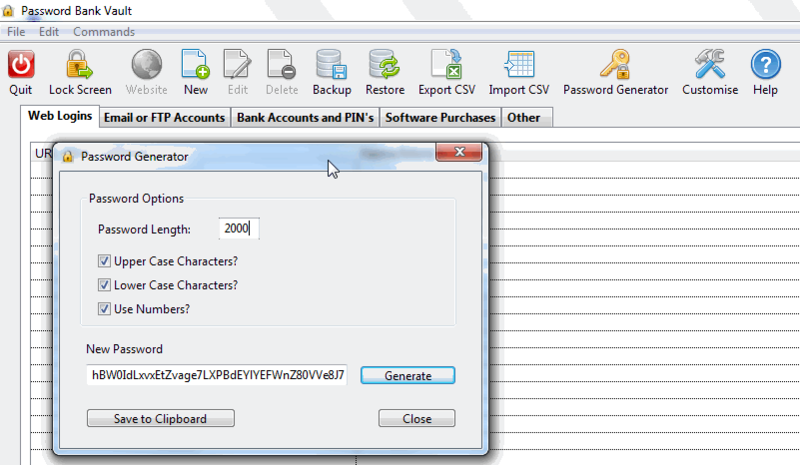 In the options tab you can choose and change different properties of the password that is generated. Here you can select the length of password and choose the option to lock the freeware while not working. Password Corral is a simple and easy to use application which is mostly used to generate and store passwords. In order to generate password you have to simply click on the button New Password and click the arrow button next to the password text box, after which the password is generated. The generated password can then be copied to the clipboard and put to use. The password settings can be changed under the options tab where you can select the password characters to be included, and the password length. S10 Password Vault is a simple freeware to store passwords, which can also be used as a password generator. Register into the system by using a username, and a master password. Then on any folder select the option to create a new account.Click the key symbol beside the password textbox to generate the password. Using the dropdown menu beside it you can choose the character options to be included, character count to make the password strong. The password thus generated can be copied to the clipboard. Multiple Password Generator is a simple tool to generate multiple passwords at a time. In order to use it, you have to enter a master password first, and then click on the button generate passwords. Then the password is populated in the text box. The best thing about this freeware is that you just have to remember your master password, and based on that the password is generated which can be retrieved anytime you wish to use it and in case you forget the password. SoftFuse Password Generator Free is a simple freeware which can be used to generate password. Here you have to enter the password length, and choose the password characters that are to be included. You can also edit the character sets to personalize your password. In the settings options you can select the options to exclude similar characters, add suffix, prefix, hash algorithms, and password masks. Finally the generated password can be copied to the clipboard, saved as TXT, and exported as HTML, XML, and RTF. 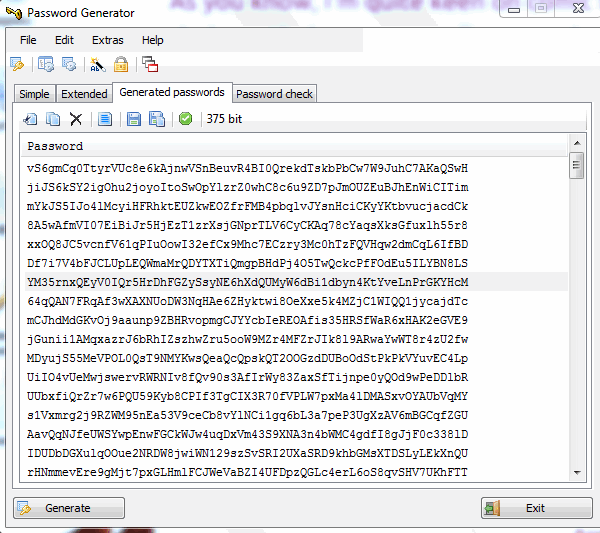 HrKr Password Generator & Checker 2 is a simple and easy to use freeware to generate password and check its strength. You can choose the option to include various password characters, and password length in order to generate more complex and strong passwords which are difficult to crack. Then after you click on the key the password is generated. You can also check the password strength where you can check whether your password is weak, middle, strong, or very strong. Secure Data Manager is a Java application to manage your data information and can also be used to generate password. Click on the tools button, and then on the create password to generate the password. The generated password can then be copied to the clipboard, or used in the software. The password settings can be configured in the preferences tab, where you can choose the option of the password length, characters to be included, and cases to be included. Wireless Key Generator is a small, simple, and easy to use key generator freeware. It makes use of WEP and WPA encryption method. Here you have to just select the appropriate method that is required which may be WEP 64 bit, WEP 128 bit, WEP 256 bit, WPA light, WPA2 minimum, WPA2 maximum, or any custom character count. On clicking the generate button, the generated key is displayed which can be copied to clipboard or saved to file. The PassGuard is a simple freeware which is used to generate passwords for free. Firstly you have to register into this freeware using a username and password. On clicking the button create new password you are asked to select the settings for the password like the number of characters, number of password, username, and characters to be included. Then on clicking the button create password, the password is generated, which can be then copied to the clipboard. Encryptr is a simple tool to generate password for free. Here you have to just select a Passphrase which can be changed later on. Then on clicking the password button you are displayed with a form with a random generated password which can be edited as per your wish. In order to save it you have to enter a label to it. It can also be used to input and save any credit card information. mecid is a command line password generator freeware which is quite simple and easy to use. Here you can either create a pronounceable password or non pronounceable password. Then you can select the option to include or exclude several characters, like: numeric, alphabetical characters, lower case, upper case, or both, extended characters, number of digits, number of ID to be generated and the file name in which the generated password is to be saved. Password Generator is a simple tool to generate password. Here you have to enter the minimum password length, and different options to be selected to include random number, capitalize first letter, include special characters, and reverse password. Then the password is generated on clicking the generate button which can be then copied to the clipboard. You can also edit the word list and symbol list to increase the number of words in the database. Java Password Generator is a simple password generator which can be used to generate random passwords. Here you have to select the characters to be included, number of passwords to be generated, and the length of the password to be generated. Here you can also select the option to include or exclude certain characters as per the requirements. After the passwords are generated you can finally save the generated data file. Secure Password Generator is a simple, free, and easy to use password generator. Here you have to simply select the character sets to be included in the password, and the password length which may be in between 5 to 500. The password can be generated again and again, by using the generate again button. The generated password can then be copied to the clipboard and used as per the requirement. xyzzy is a simple freeware to generate pronounceable passwords. Although the passwords are pronounceable, they are not easy to guess, thereby making your password strong. Here you can choose the options of the character count to be included in the password, number of passwords to generate, and the option whether to include numbers in the password. You have the option to save the text and use it as required. Efficient Password Manager is a simple freeware where you can generate strong password. In this you have to simply go to the tools and click on password generator. Choose the options password length, password characters to be included, minimum number of digits, and many such options. Then the password is generated as per your choice. Finally the password can be copied to the clipboard and used wherever required. Webmaster Password Generator is a simple and aesthetically beautiful freeware to generate random passwords. Here you have to select the character options, password length, and number of password to be generated. Then when you click on the generate button, the random passwords are generated based on your set of choices. Finally you can copy a single password to the clipboard, or the entire password to the TXT file. Numeric Password Generator is a simple software which is used to generate non random numeric password. Here you have to enter the common password and domain name in different boxes. Then after you click on the button generate numeric password, numeric password is generated which can be copied and used wherever required. The same password can be retrieved every time you enter the same set of characters. ReGen - Password Generator is a simple and easy to use freeware to generate passwords. Here you have to select the password length, password amount, and the character options to be included. Finally you can add characters on your own. The password can be copied to the clipboard or saved in a text file. 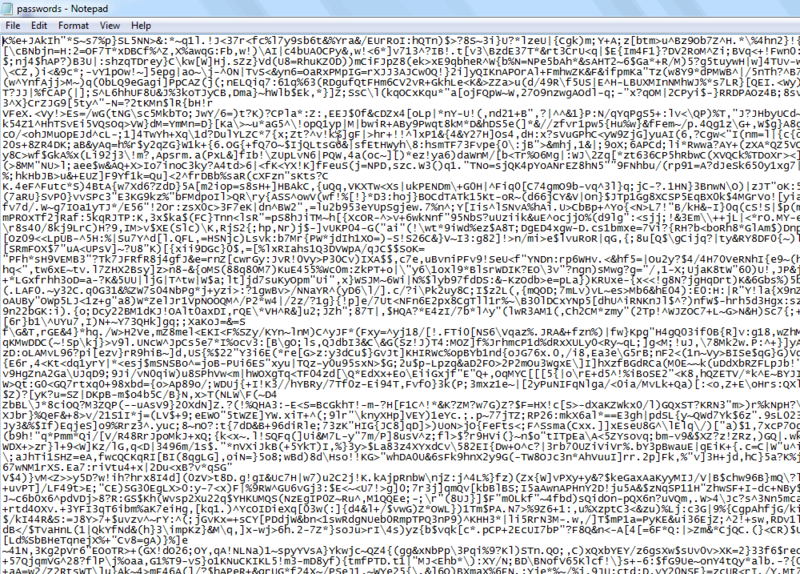 It can also be used to generate serial numbers, and random numbers. BA.co Password Creator is a simple freeware to generate password. Here you have to enter the password length and the characters to be included. Based on your entries, and selection password is generated after you click on the create password button. This freeware can also be used to decode passwords. Password Generator is a simple tool to generate passwords. Here you have to select the options for the password length, number of passwords, characters to be included, and the introduction of any custom characters. On clicking the button generate secure passwords, the password is generated. The generated password can be copied to the clipboard. The generated passwords can also be saved to the text file. 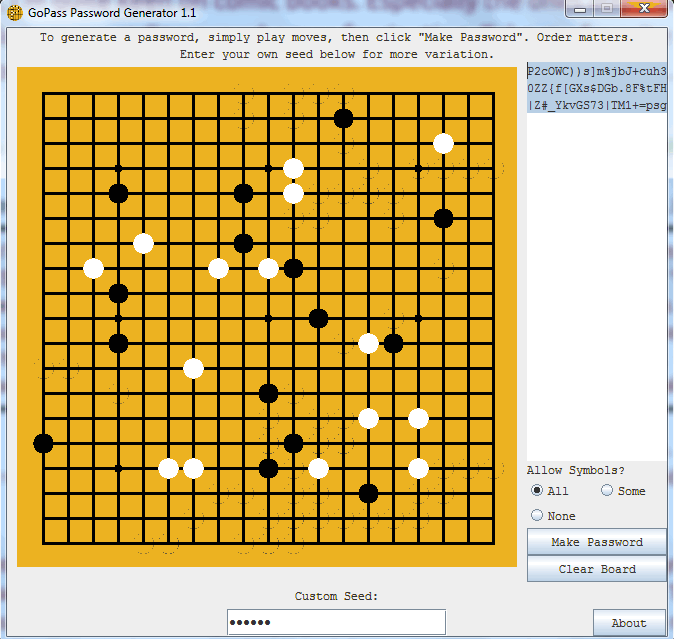 GOPass Password Generator is a simple Java graphic tool to generate passwords. Here you have the option to generate passwords using simple play moves where you have to simply click on the board displayed. On clicking the button make password, the password is generated. Custom seed information can also be added to the password. Username And Password Generator is a simple, beautiful and easy to use freeware to generate user names and password. Here you just have to enter the number of user names and passwords to be generated. Then using the generate button the user name and password is generated. Then finally you can choose the option to export the registry list, usernames, and passwords. Username/Password Generator is a simple application to generate username and password. Here you have to enter the username base, password length which can be anything in between 6 characters to 12 characters, password key, and number of usernames to be generated. In case you wish to generate a single password it can be done so by clicking the create one password button. Random Password Generator can be used as a simple password generator. Here you have to choose the password length from the dropdown menu, and select the option to include special characters and mixed cases if required. Then after you click on the generate password button, the password is generated which can also be copied to the clipboard, and used wherever required. 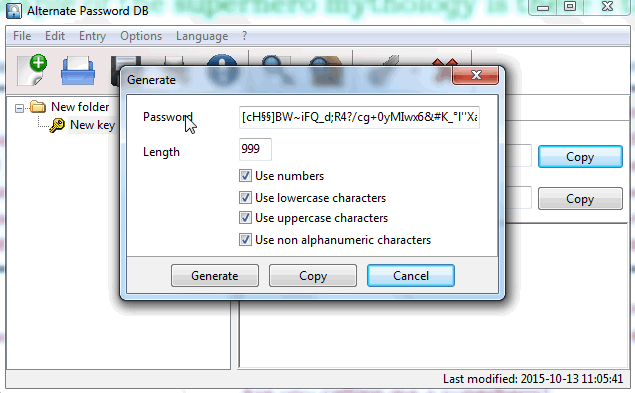 Alternate Password DB is a simple freeware which helps you to generate strong password. Go to the option and select password generator where you have to choose the option of password length, and the characters to be included. Finally on clicking the generate button, the password is generated which can then be copied to the clipboard. F-Secure KEY is an aesthetically beautiful tool to manage, save, and generate passwords. Simply go on the passwords tab and click on the button to generate password. Then the password is generated where you can choose the option of the number of characters and the characters to be included. Then the password can be put to use. 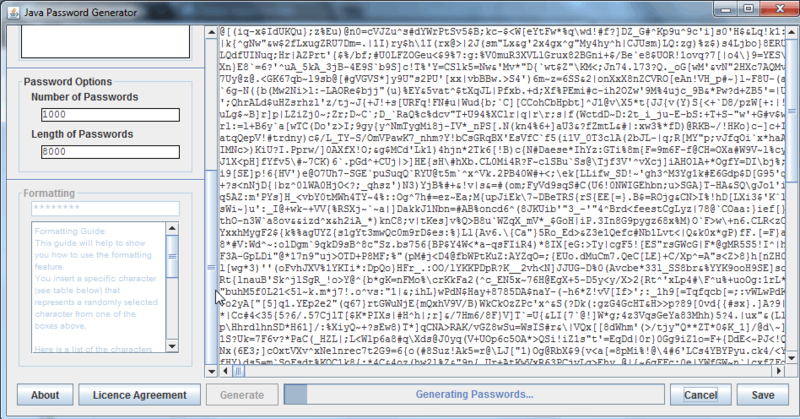 MC Password Generator is a simple password generation freeware that works in a web based interface. Here you have the option to configure your password and can choose the option of character selection, password length, and password quantity. On clicking the create password button, the password is generated which can be used as required. Advanced Password Generator is a simple and easy to use freeware where you can generate strong passwords. You have to select the option to select the password size, minimum size, maximum size, and the characters to be included. 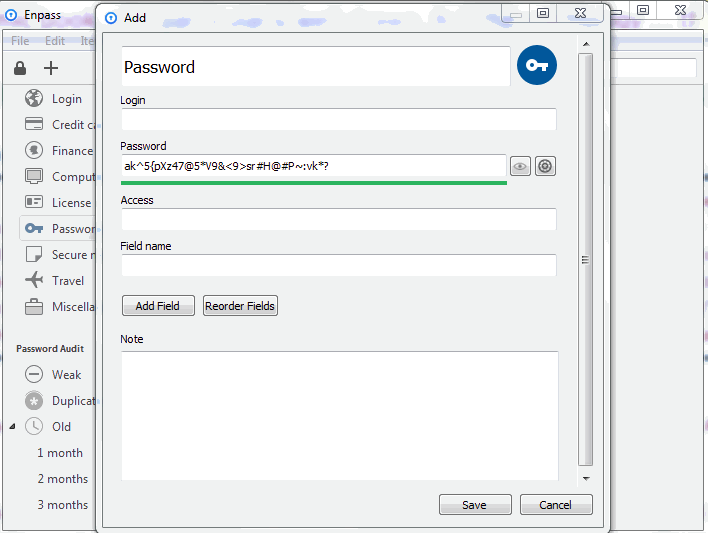 On clicking the generate button the password is generated which can be copied to clipboard. 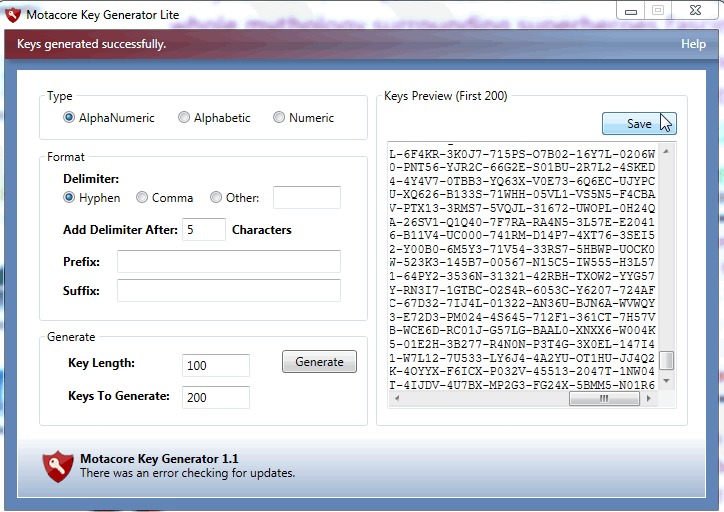 Free Key Generator is a freeware to generate password with a simple interface. Using the slider you can choose the key length, and choose the characters that the key is required to contain. On clicking the generate button the key is generated which can then be copied to the clipboard. Makipass is a simple tool to manage different user accounts and can also be used to generate passwords. Select the password length, and the passwords to be included. On clicking the create password button the password is generated which can be copied to clipboard, or saved into the database. Password Bank Vault is a simple and easy to use application to manage accounts and logins. It also has a password generator tool. Here you have to select the options of password length, and the characters to be included. The generated password can then be copied to the clipboard. One-Time Password Generator is a simple Java application to generate password. It also requires the installation of a JDK along with it. 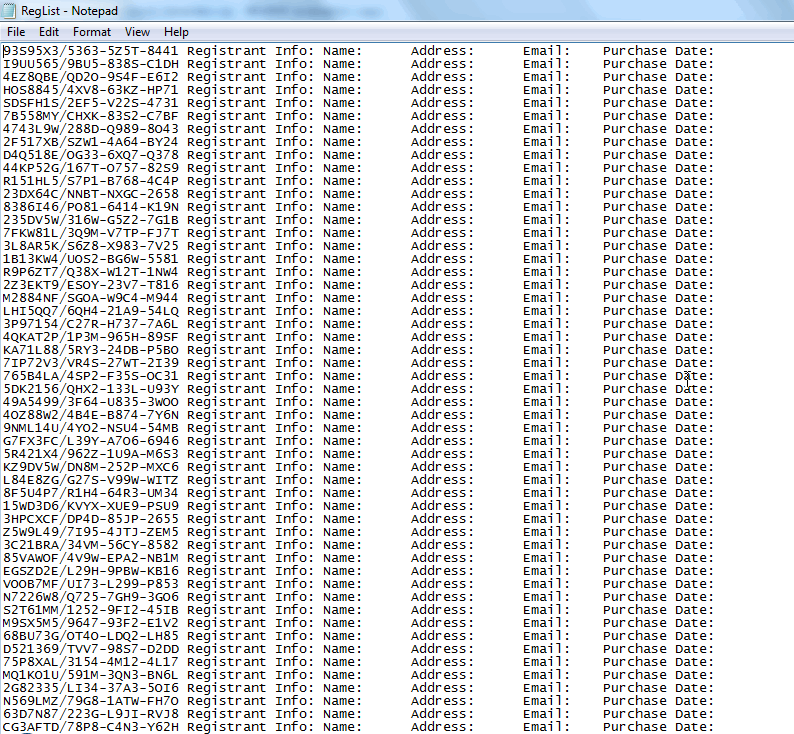 Here you have to enter the password, sequence, challenge, and select the hash from MD5, and MD4. On clicking the calculate button the output is generated. Fryslan Password Generator is a simple tool to generate password. Select the characters to be included using the checkbox, length duration of the password, and the number of password to generate. On clicking the generate button password is generated which can then be copied to the clipboard. Passwordium is a simple tool to generate passwords. Here you have to select the password format, password length, and then click on the generate button. The generated password can be copied. Using the strength checker tab you can check for the password strength. JPG is a simple password generator tool to generate password. Select the characters to be included, and the number of characters of the password. On clicking the generate password button, password is generated, which can be then copied to the clipboard. Password Generator is a simple tool to generate passwords. Here you can choose the password length and the characters to be included in the freeware. On clicking the generate button, password is generated which can then be copied to the clipboard. Open Password Generator is a simple tool to generate strong password. Here you have to simply enter the password length and click on generating button to generate the password. Then the generated password can then be copied to the clipboard. 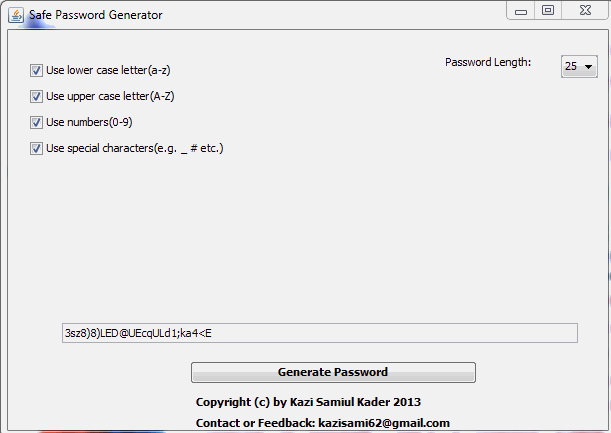 Safe Password Generator is a simple Java application to generate password. Select the characters to be included, the password length, and click on generate password button. Then the password is generated which can be then copied to clipboard.